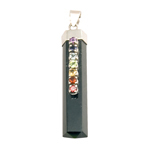 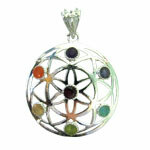 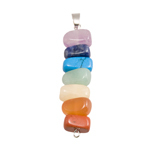 A beautiful pendant designed to help you manifest your intentions. 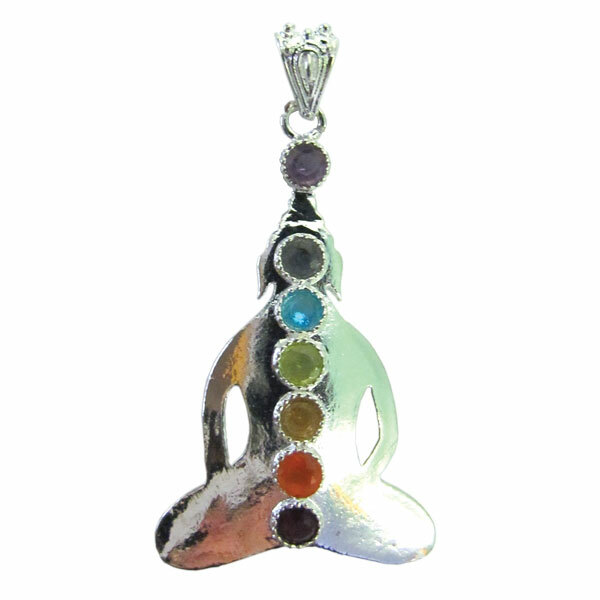 This eye catching silver coloured nikel free alloy pendant comes from India. 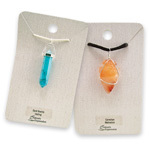 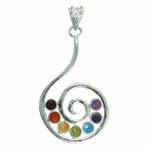 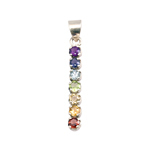 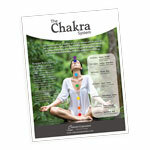 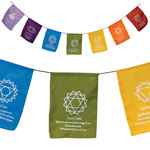 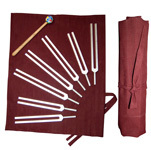 Gemstones represent the chakra system.